Welcome to my motor mania collection website! 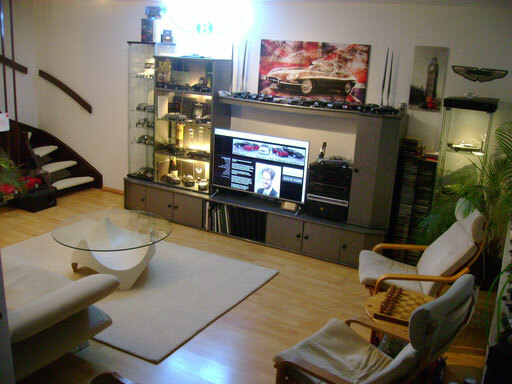 Having collected 1/18 scale model cars for more than 25 years now, I thought it might be time to give other collectors and enthusiasts virtual access to my collection. I mainly focus on British motorcars, European luxury limousines and hyper sports cars. You will notice immediately that I do not only collect models, but tend to display them alongside the brochures of the real vehicles, their car mascots or badges and other automobilia and accessories. The photographs of the models are complemented by video reviews of the original motors if available. I hope, you will enjoy this website. Feel free to leave a comment in my guestbook. You can learn more from Diecast Society.com´s February 2014 feature about my collection. To look at the models is a pleasure. But with the video game racing set-up collecting is taken to the next level. 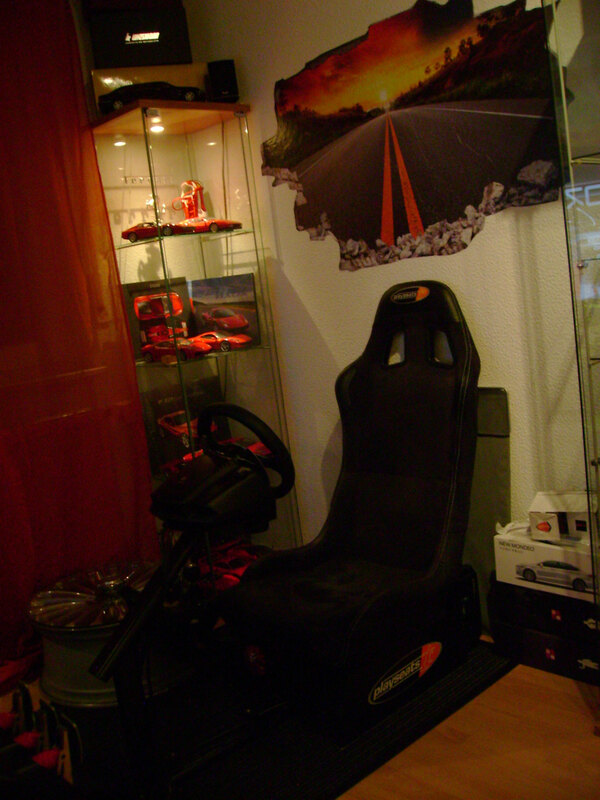 A Playseat, Logitech G25, Teufel 5.1, Buttkicker Gamer and 50" Panasonic EXW 735 ensure hours of driving pleasure. Thanks to an active modding community TEST DRIVE UNLIMITED allows me to take the cars that I have as a model for a virtual drive.